If you are the type of person who loves wearing short necklaces that make a statement, this one might be the one for you! 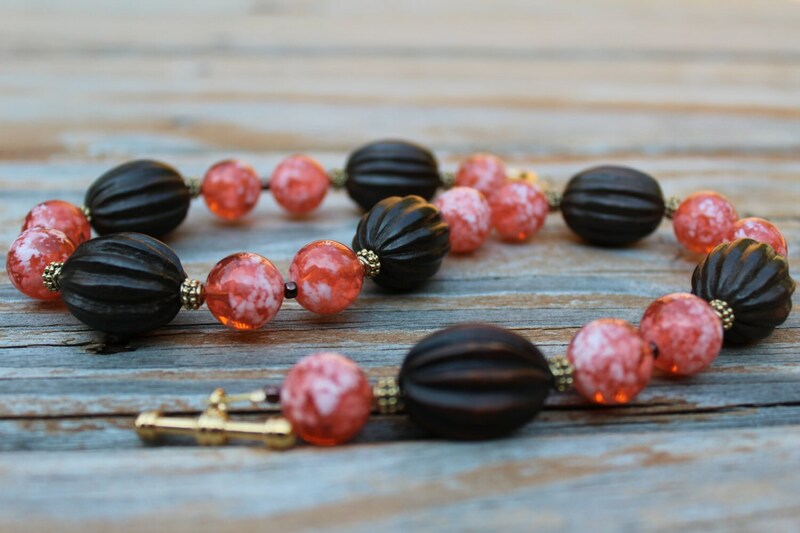 Such a pretty necklace, with large, hand-carved brown wood beads, (approximately 22mm long), orange/white resin rounds, and gold tone metal spacers! *This necklace is approximately 18 inches long. 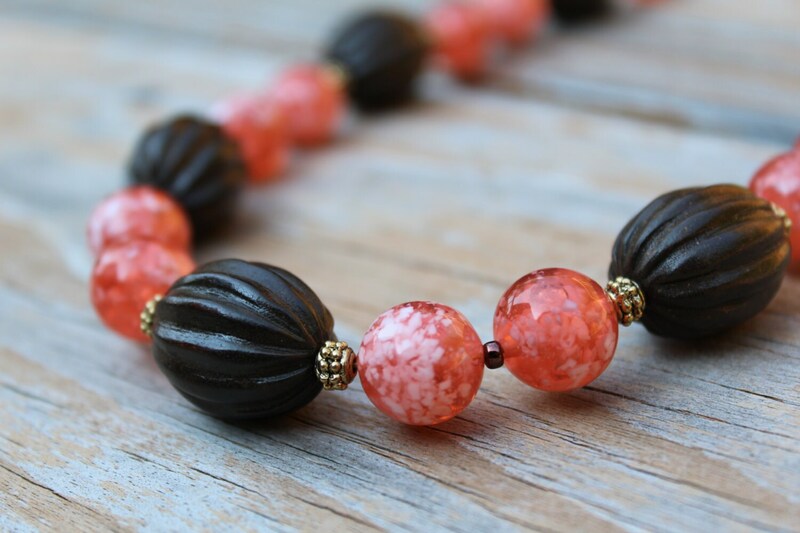 Let this necklace be the perfect finishing touch to your next outfit! I love this necklace. Very well made!